This Valentine’s Day, celebrate with your whole heart because it could mean that you might live longer. 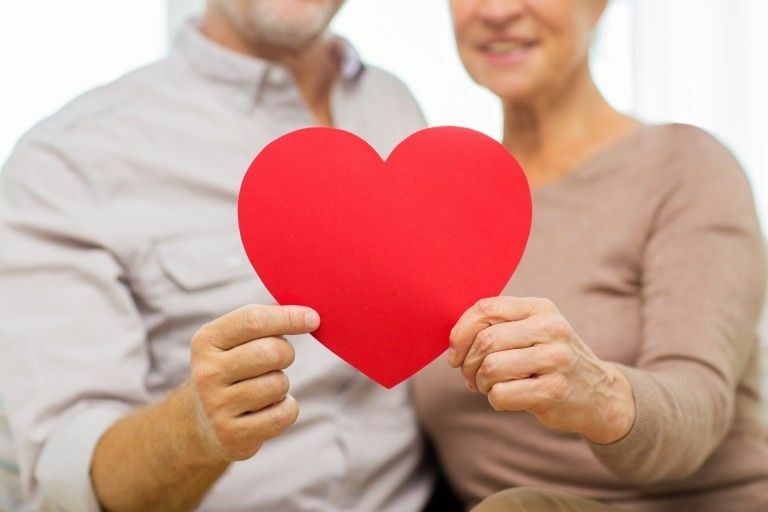 Studies show there is a link between love and longevity, so break out the heart-shaped chocolate boxes and plan a romantic evening with your sweetie! Long and loving relationships can correlate to improved health. A study published in the journal JAMA Internal Medicine shows that people in a relationship make better health choices when encouraged and supported by their partner. Smokers were 40% more likely to quit if their partner quit smoking too. And couples were more than 40% more likely to increase their physical activity if their spouse did as well. So make a healthy goal and do it together! People with strong relationships are happier, healthier, and tend to live longer. People who suffer from an illness and without assistance often find themselves in poorer health with a shortened lifespan. Friends, family, or a significant other can see changes in behavior and health, assist with getting a loved one medical attention if needed, and aid in recovery after an illness or surgery. This support system can make a significant impact on not only their physical health, but also their mental wellbeing and reduced stress levels. On Valentine’s Day this year, celebrate ALL the supportive people who you love and appreciate from family and friends to caregivers and medical professionals. Isolation in the elderly is a real concern. As people become less mobile, are unable to drive, have hearing and vision loss, and perhaps lose a spouse, they may feel alone and vulnerable. This can lead to depression and a physical decline. This Valentine’s Day, make an effort to reach out to a relative or loved one who may be widowed or lives alone. Plan a visit, take them out to tea, or bring homemade treats on this day that celebrates love. This simple gesture can have a huge impact on a lonely loved one. Researchers have found that one of the keys to happiness and wellbeing is to challenge yourself and learn something new. No matter what age you are! Explore this idea as a couple by learning a foreign language, planning a trip, learning to dance, joining a cooking class, or starting a personal blog. Researching, learning, and mastering a new skill together can greatly improve your happiness and strengthen your relationship. Celebrate your spouse, friends, and family this Valentine’s Day and live a long and happy life!